The days are getting shorter and the perennials that made it through the summer are getting seedy. Literally. This is a good thing. 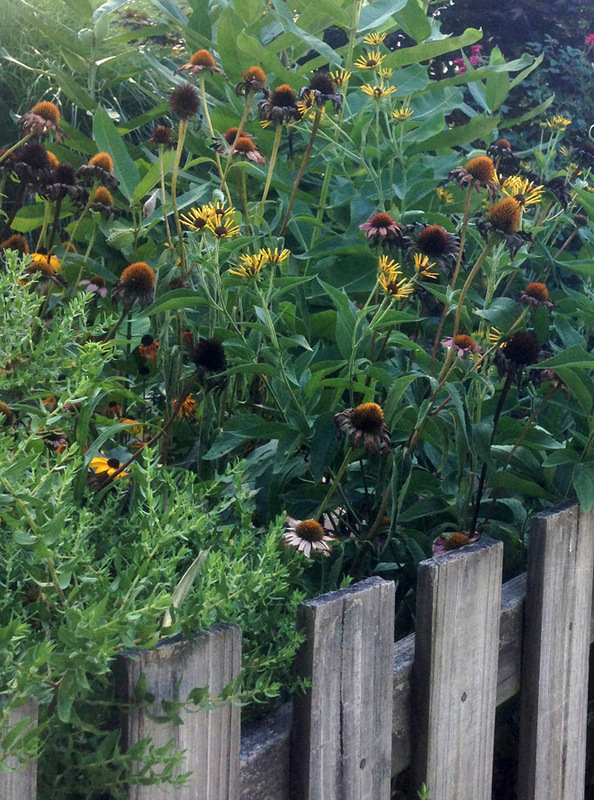 I have seen goldfinches perching on my neighbor's coneflowers. They were most likely looking for a palate cleanser before returning to the sunflowers down the street. There is an odd beauty in these flowers as they undergo inevitable changes. Petals turn dusty shades of mauve, then become gray, then almost black before they drop. Those are Victorian mourning colors, worn in reverse order by the coneflowers. Winter is coming but the coneflowers will rise again in the spring.